Take this woman for example. Lois Hicks passed away at 88 years old. The next day, her family gathered at a nearby funeral home to say goodbye. It wasn’t until they left the building that a woman with no immediate connection to the family snuck in. 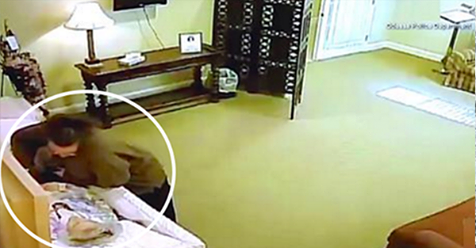 The security footage captures the strange woman digging into Lois’ casket and pulling her diamond ring right off her finger. Shortly after, Lois’ daughter returned to touch up her late mother’s makeup when she noticed the ring missing from her finger. They reported the theft to local authorities and eventually the mystery woman was captured. But there was one big surprise about the ring that the thief never expected.